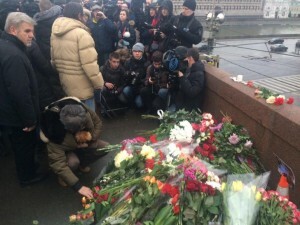 As Boris Nemtsov supporters laid flowers on the pavement Saturday close to where the opposition leader in Russia had been fatally shot just hours earlier, authorities in Russia said an investigation was taking place with a number of theories about the crime. Included in those theories is the possibility that members of Nemtsov’s opposition party killed him to create a martyr. That investigation would look into whether the 55-year old Nemtsov, a former deputy prime minister and longtime opposition leader became a sacrificial victim as a way to create support for the opponent of the current government, said the government’s investigation branch. That statement, the most complete official response to the killing thus far of Nemtsov said the police were pursuing at least a half a dozen leads in the assassination of the most high profile political figure during the latest tenure of President Vladimir Putin. The investigative committee also said the possibility existed that a group of Islamic extremists killed Nemtsov due to his position on the shootings in France at the offices of Charlie Hedbo. 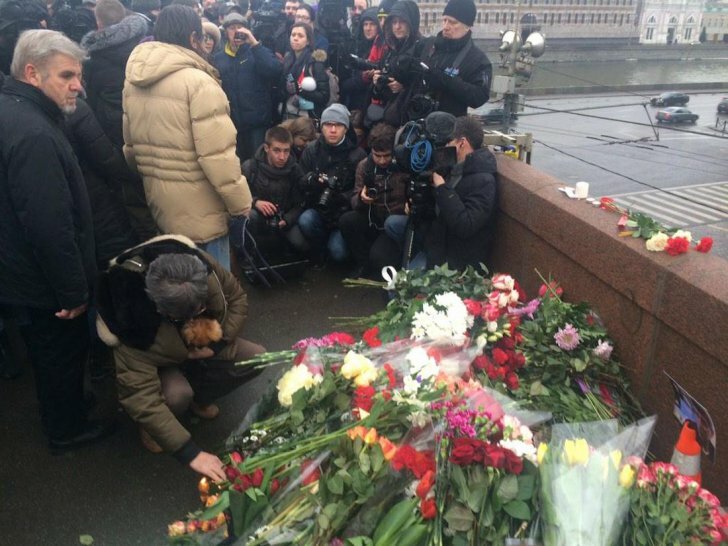 The committee said security forces were aware of threats from Islamist against Nemtsov. The committee added that radical personalities on one or another side of the conflict in Ukraine might have been the responsible party. The released statement said police were considering as well possible personal or business disputes as motives for the killing. The committee’s explanation elaborated on and echoed a statement that was posted overnight on a website of the Kremlin, which called the murder a provocation. Life News, a TV station with ties to the security services in Russia, quoted a source that suggested Nemtsov was killed as revenge for causing a woman to need an abortion. While street killings that are contract style like the one that killed Nemtsov had been commonplace during the 1990s in Moscow, such violence today has dwindled since Putin entered office, making the murder of the opposition leader even that more shocking. Investigations of these types of contract killings often start with police citing many theories publicly and their possible motives.